Dr. Kara Odom Walker is the cabinet secretary for the Department of Health and Social Services (DHHS) in the state of Delaware. Prior to this appointment, she worked as Deputy Chief Science Officer at the Patient-Centered Outcomes Research Institute (PCORI), a nonprofit, nongovernment organization in Washington that is authorized by Congress to improve evidence available to help patients, caregivers, employers, insurers and policymakers make informed health care decisions. She managed the Institute’s research investments, which totaled $1.6 billion in 2016, toward a planned total of $2.5 billion by 2019. She formerly taught Family and Community Medicine at the University of California, San Francisco, as an Assistant Clinical Professor, and has worked with several national organizations to advocate for health equity and for access to quality health care in minority and underserved populations, including the National Medical Association, Student National Medical Association and American Medical Association. Dr. Walker has been recognized for leadership by Harvard Business School’s Program for Leadership Development, the American Medical Association and the National Medical Association. 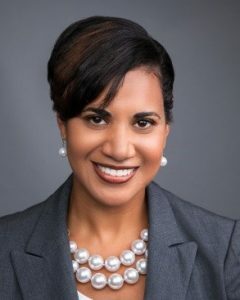 Secretary Walker earned her bachelor’s degree in chemical engineering from the University of Delaware and her medical degree from Jefferson Medical College in Philadelphia. She has a Masters of Public Health from the Johns Hopkins School of Public Health and a Masters in Health Services Research from the University of California, Los Angeles, School of Public Health, where she also completed a post-graduate fellowship in the Robert Wood Johnson Clinical Scholars program. She is a board-certified family physician and has provided direct patient care in many primary care settings, including those for uninsured and underserved populations. She has published research papers on physician workforce issues, health care organization and delivery.